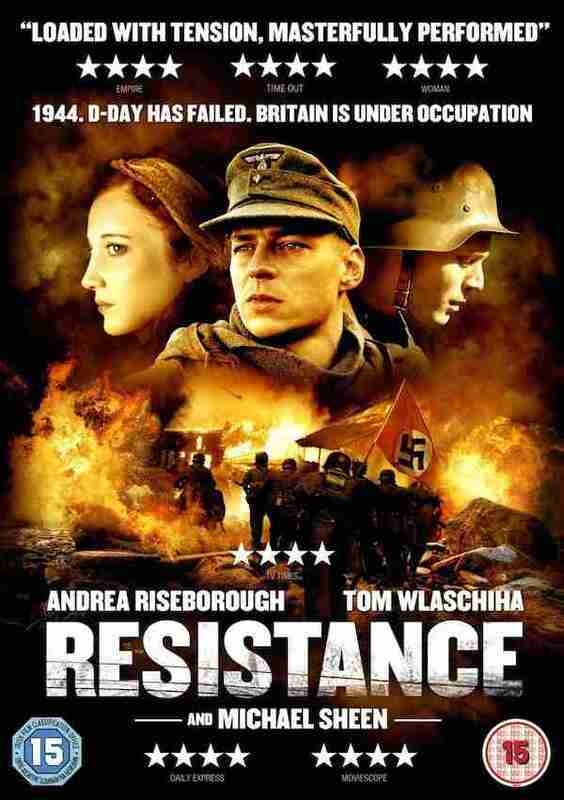 Resistance is a low key British drama which plays with a “what if” premise of what if D-day was a failure and the Germans invaded Britain. The film, based on Owen Sheers’ novel, follows a group of German soldiers who are stationed in a small Welsh village. The men of the village have left to join the resistance, leaving the women behind to deal with the new inhabitants. The leader of the German troops Albrecht (Tom Wlaschiha) is sympathetic to the women’s plight and he soon begins to fall in love with Andrea Riseborough’s character. Resistance is a slow burning effort, and much is left unspoken as the characters move through the dream-like blue tinged scenery. Director Amit Gupta’s film is light on action and anyone expecting Saving Private Ryan style battle scenes will be sorely disappointed. The film unfolds like a dream, and Michael Sheen appears in a cameo adding a spike to proceedings, but his presence isn’t enough to raise the film out of its understated status. It’s this understated quality which some may find miserable – no one in Resistance is happy (but who is in war?) and the films ninety minute running time does drag at times, which is no surprise considering that very little happens. Don’t let the DVD cover fool you! Resistance is an old-fashioned film, the type that is perfectly suitable for a lazy Sunday afternoon. It won’t change your life, but it might raise a few questions and make you reach for a history book – and that’s never a bad thing, right?